Bespoke recruitment solutions that realise the results your business needs. At Manpower, we offer a full spectrum of workforce management services, to take care of all aspects of managing your temporary workforce – including managing orders for staff, payrolling, invoicing, assignment changes, onboarding, training, and handling ongoing candidate relations. You’ll be joined by a dedicated onsite recruitment team that seamlessly integrates into your organisation, gaining a deep understanding of your business requirements. This means we’ll be primed to design and deliver a recruitment and workforce solution that perfectly aligns with your needs. We’ve been doing just that for the likes of BT and Jaguar Land Rover, to great success. In fact, each year over 25,000 employees across the UK are managed by Manpower as part of a workforce management process. And it doesn’t stop there. When it comes to employee management over multiple sites, we know that control and consistency is a top priority. Our Management Information (MI) is available in real time; it’s customised to your needs; and we’ll drill down to an individual hiring manager level – so that you get real business intelligence, that’s focussed on efficiencies and cost savings. 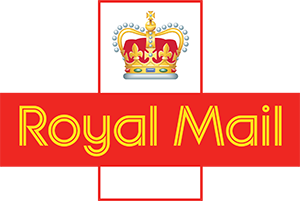 Since 2002, Manpower has supplied Royal Mail with up to 6,000 staff at any given time across the whole of the UK; allowing them to quickly flex their temporary workforce up and down to meet with ongoing and seasonal demand.